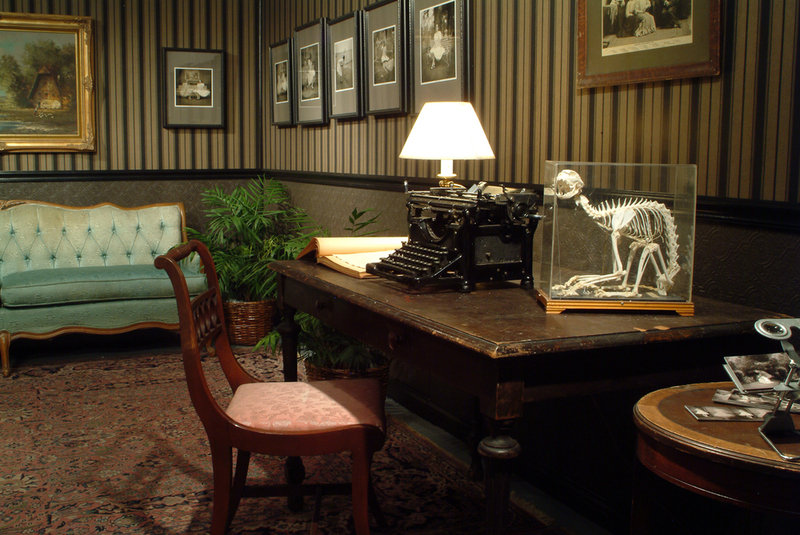 From January 7th to February 11th, 2005, the studio of Dr. Charles Addison was recreated in great detail at Flatfile Gallery. The room measured approximately 13 feet by 22 feet and was decorated with the same wallpaper and moulding that are seen in the photographs Addison made there. Many of the original pieces of furniture from the studio were included and arranged in a similar fashion. Also included in the installation were the diary that Addison kept of his experiements with the Crosswell Twins and the typewriter he used to write it.